Over 500 pages of stunning photography and unique stories about the best places to eat and drink throughout Australia. Eat and drink your way across our sunburnt country with this collection of our most loved and decorated destinations. 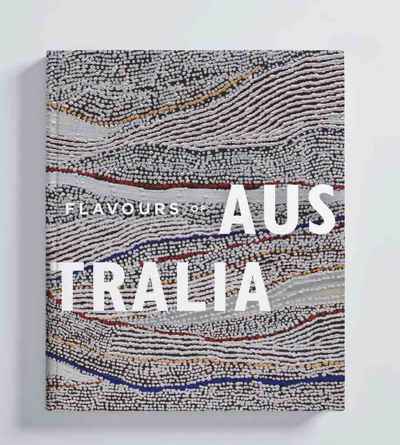 Modern Australian cuisine is a melting pot of cultures and flavours, so let us share with you the histories of some of our country’s most decorated venues that have helped to develop that iconic Aussie food identity. Travel from the white sandy beaches of Bondi to the graffiti-clad laneways of Melbourne and onto the rolling hills of Adelaide. Or wander to the far reaches of Perth’s sunset-over-water views and over to Queensland’s tropics. Read the stories of some of Australia’s most decorated chefs and rediscover some of our oldest family institutions. Recreate your favourite meals at home and relive your most memorable food experiences with the signature recipes of our most coveted restaurants. Flavours of Australia celebrates the unique culinary landscape of our country, including indigenous ingredients and beloved local produce.